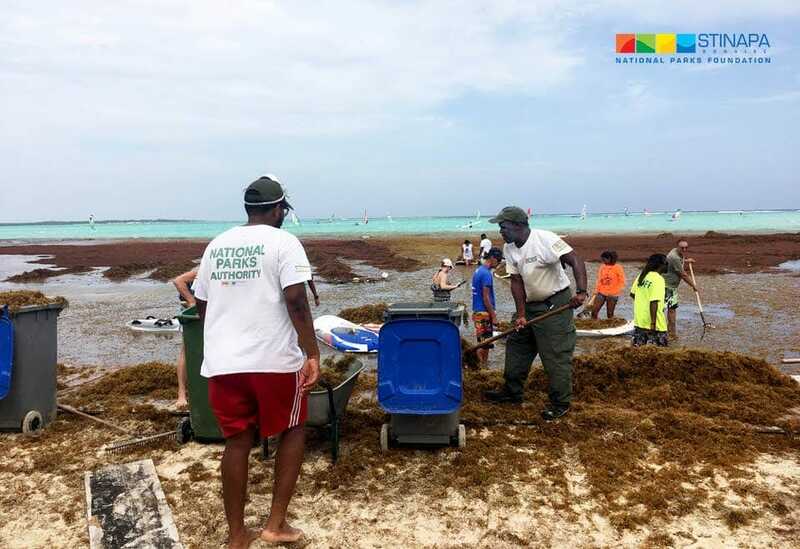 In connection with the efforts made by STINAPA’s employees to clean up the washed-up sargassum, and the time this has taken, the management has planned a recovery day for the employees. That is why the head office and the Washington Slagbaai National Park will be closed on Friday, March 16th. For emergencies you can call 786-9603 for the Bonaire National Marine Park and 786-5229 for the Washington Slagbaai National Park. Washington Slagbaai National Park is open again on Saturdays and Sundays as usual and the STINAPA office is open again on Monday. We would like to take this opportunity once again to express our gratitude to all who helped us with this.